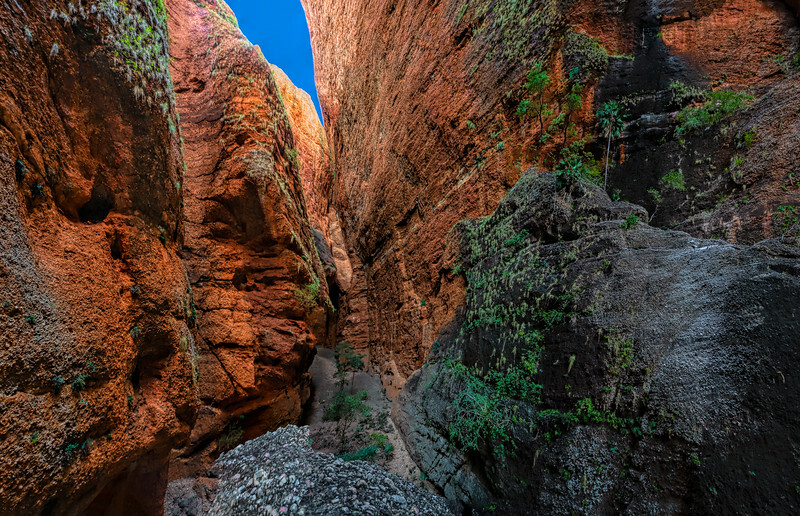 Mini Palms Gorge is a 4.2km return walk in the Bungle Bugle. The gorge ends at a high viewing platform that looks out into the deepest part of the gorge (or an “amphitheatre of mystery” as the sign at the trailhead says). This is the view from that viewing platform.